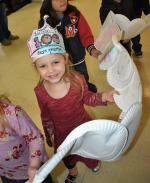 The 100th Day of School, January 31st, was a big day for Celeste Elementary students. 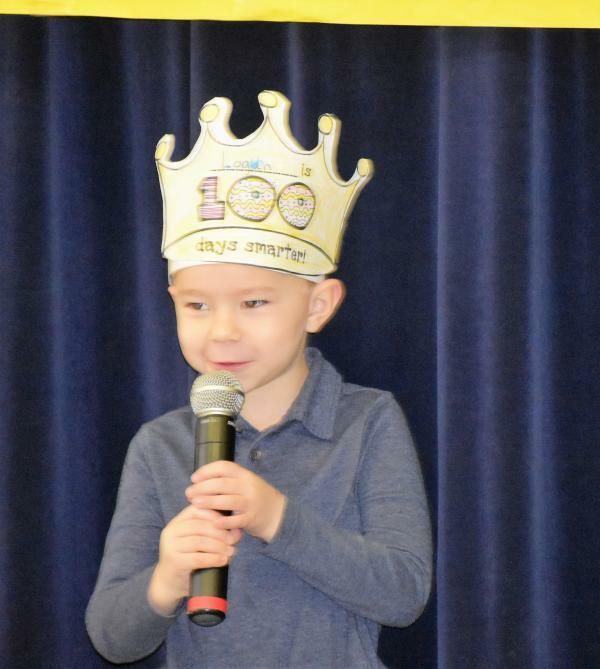 Celebrating 100 days of learning, the Pre-Kindergarten class had a fun filled day of celebration including an Everything 100 Museum and a nursery rhyme program for Pre-K families where the students shared nursery rhymes that have been around for hundreds of years. 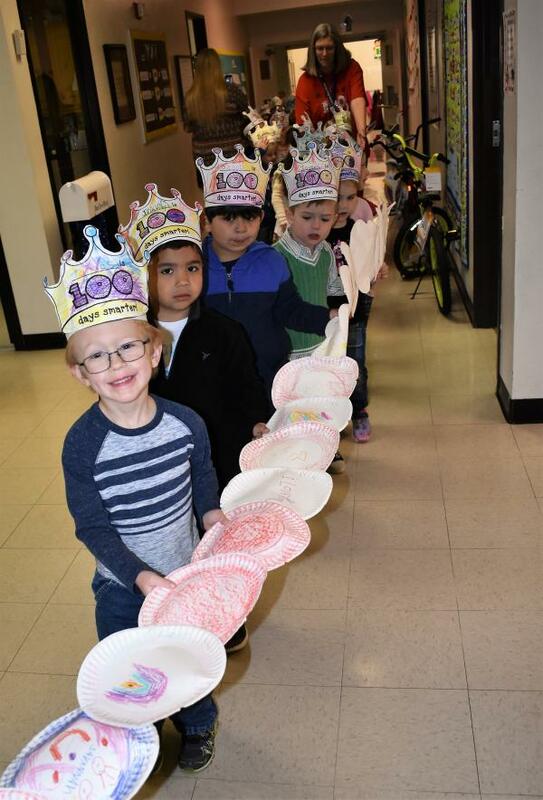 The Pre-K students demonstrated their knowledge of numbers and counting by designing a project that incorporated 100 items. 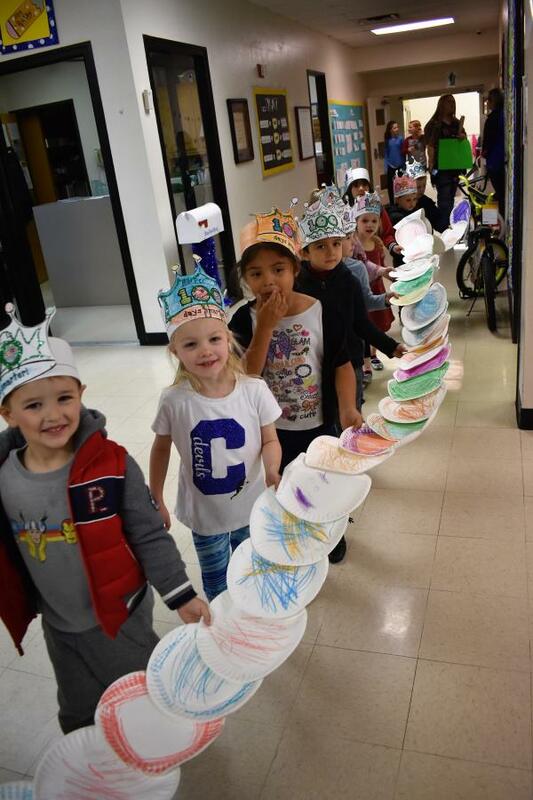 Their 100th day projects were on display in the auditorium for families and friends to browse following the nursery rhyme program. 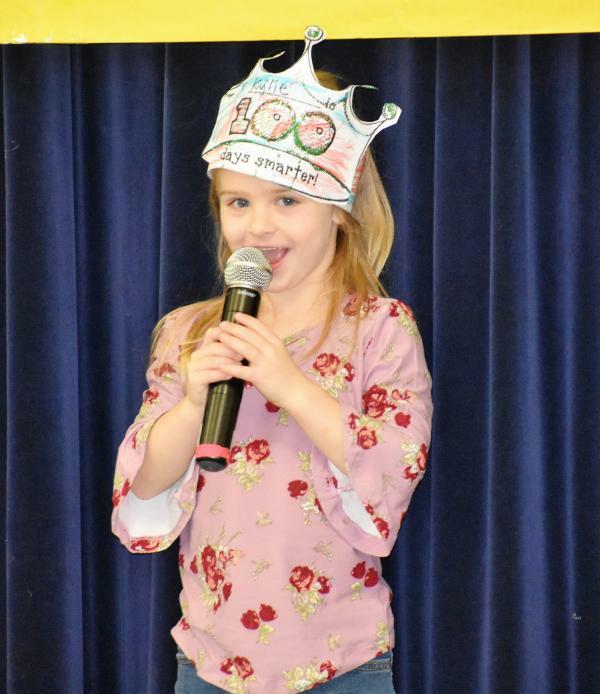 The class also reached their goal of listening to 100 stories. It is hard to believe there are only 67 days remaining in this school year!